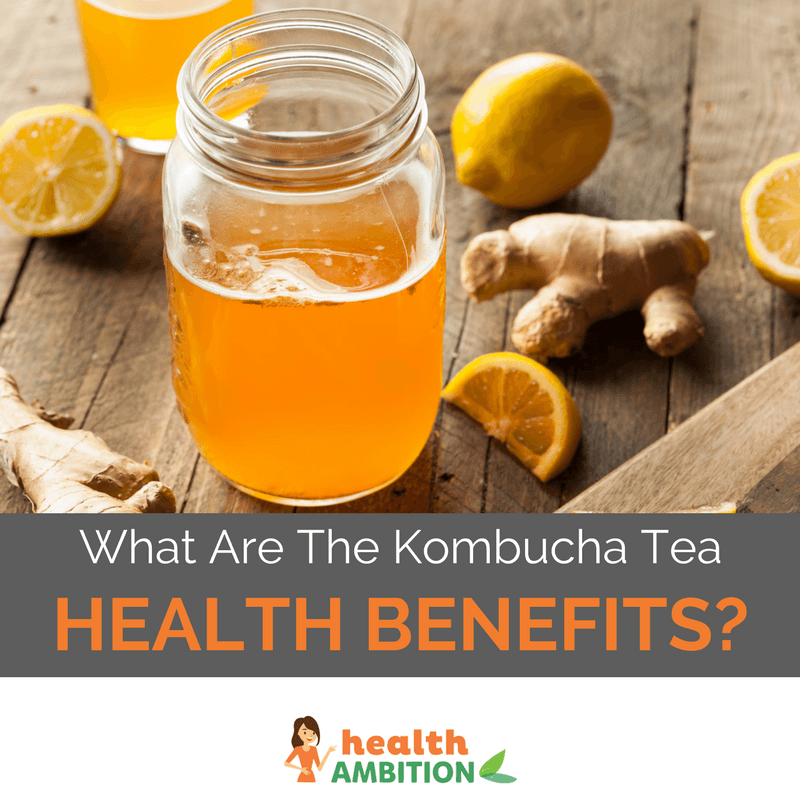 What Are The Kombucha Tea Health Benefits? Have you heard about kombucha yet? It’s one of the most fashionable beverages floating around the health scene at present. 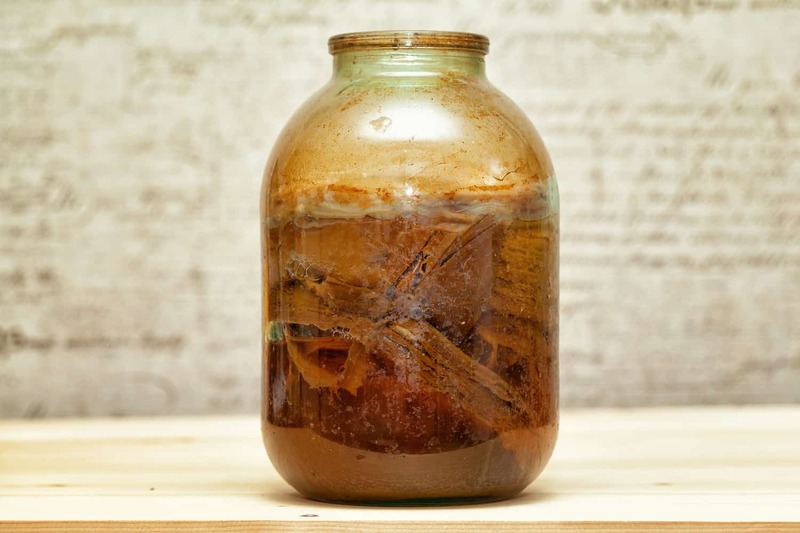 People are raving over the vast number of health benefits linked to this ancient chinese “immortal health elixir”. With claims ranging from fighting cancer to preventing degenerative diseases, it’s no wonder so many are jumping on the kombucha bandwagon. But what are the kombucha tea health benefits? I’m going to share everything you need to know in this article. During this process, a small mushroom-like substance forms and floats on top of the liquid. 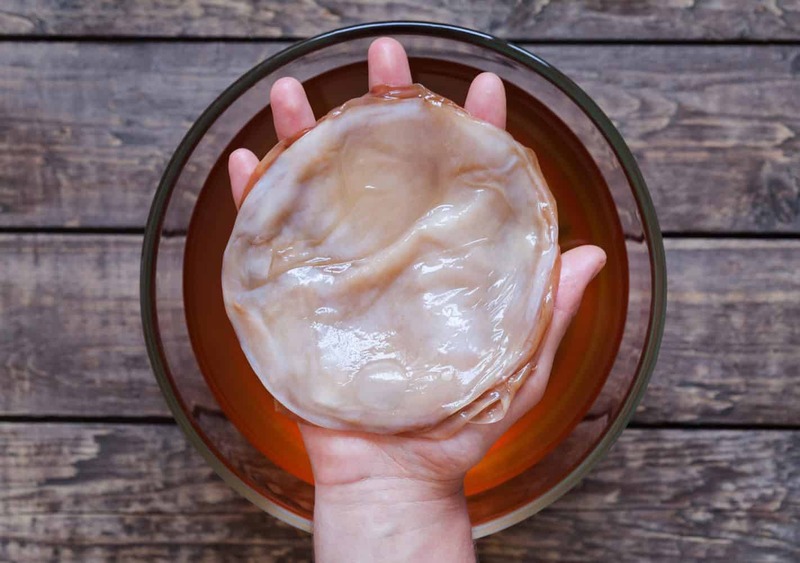 The substance is a symbiotic colony of bacteria and yeast, or a SCOBY. This is what gives kombucha its nickname ‘mushroom tea’. The SCOBY can then be used to ferment new kombucha. A lot of research into the health benefits of kombucha has been carried out in the first half of the 20th century. This was mainly as an attempt to find a cure for cancer. In the 1990s kombucha made its first appearance in the US. Research here was scant as the pharmaceutical industry didn’t stand to benefit from something so cheaply made. However a lot of Russian and German research was made available in English and which sparked enormous interest in the beverage. Any type of probiotic food is a good thing to add to your diet. These healthy microorganisms do everything from aiding digestion to boosting immunity. One of kombucha’s raw ingredients is green tea. This means it carries many of the same health properties. Most people know green tea is possibly the healthiest beverage known to man. It’s rich in antioxidants and bioactive compounds, such as polyphenols. (source) A number of studies have even shown that drinking green tea reduces the risk of breast cancer, colon cancer and prostate cancer. According to the World Health Organisation (WHO), heart disease is the biggest cause of death throughout the entire world. 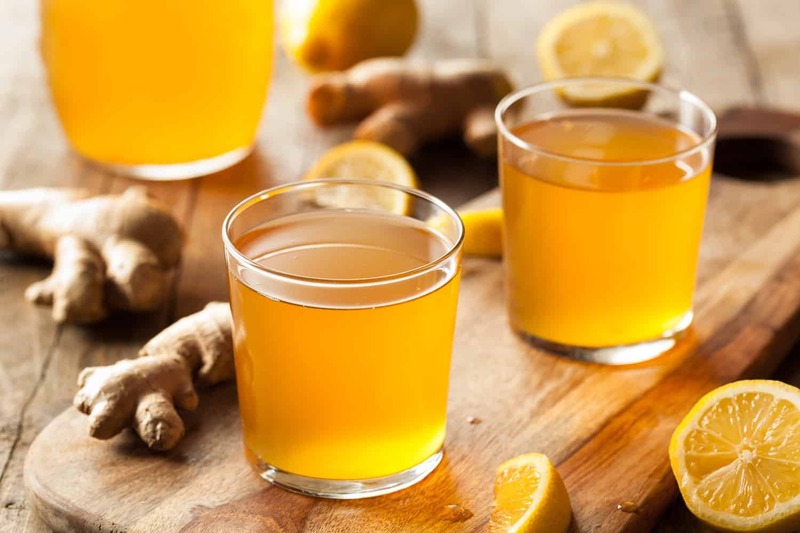 Most recently, studies performed on rats have concluded that find that kombucha can greatly improve two markers of these diseases – LDL and HDL cholesterol. Type 2 Diabetes is a disease which affects over 300 million people throughout the world. The Center For Disease Control and Prevention (CDC) have released most concerning figures, stating that over 29 million people in the United States alone are suffering from type 2 diabetes, one in four of which are unaware. Moreover, a staggering one in three Americans are prediabetic. This means that their blood sugar is abnormally high, but not high enough to be classified as type 2 diabetics. With these numbers, it’s clear that methods of prevention are a medical necessity. One study on rats with diabetes showed that kombucha tea improved both liver function and reduced blood sugar levels by slowing the rate of carbohydrate digestion. Every day is a fight to find a cure for cancer. As one of the world’s most aggressive and unbiased diseases, cancer can strike anyone at any time, regardless of age or gender. There are thousands of forms of cancer. Cancer is simply characterized as cell mutation with uncontrolled growth. Therefore, any cell within the human body has the potential to mutate and become cancerous. As one of the world’s leading causes of death, it is completely understandable that we seek any form of alternative medicine which could potentially lower our risk. 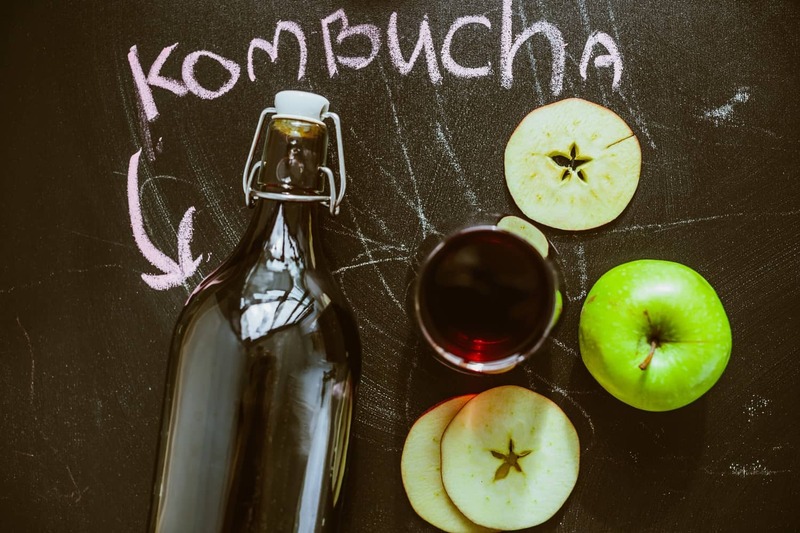 A number of studies have been conducted to research the benefits of kombucha in preventing growth and spread of cancerous cells. Although more research is necessary, kombucha is thought to have a positive impact due to its high content of antioxidants and polyphenols. The current thinking is that polyphenols can prevent gene mutation and the growth of cancer cells, moreover, promote death of existing cancer cells. Kombucha is something that can be store bought or can be made at home. However, fermenting your own is a skill to be mastered and if made incorrectly, kombucha can be incredibly dangerous. If kombucha is over-fermented or contaminated in any way, it can be harmful to your health. A number of such situations have resulted in serious health complications and even death. Therefore, extreme care must be taken when making your own. The best option for anyone wishing to try kombucha is to buy a premade version. Commercial products are good quality and considered safe. They also contain only 0.5% alcohol and are therefore classed as alcohol free, where the homemade version can contain up to 3% alcohol. Learning about the scientific research into the numerous health benefits of kombucha tea has certainly convinced me to give it a try. Adding a cup or two to your diet could just improve your overall health. Are There Really Vitamins That Make You Happy? What Are the Best Probiotics for Men? Green tea for cancer? You might have informed your readers that population-based studies do not establish cause and effect. If you really cared about your readers, you could also have explained that antioxidants have not been shown to prevent cancer in humans. More than that, the whole idea of antioxidants to slow aging is just that. Anyone who has studied the subject can tell you that it remains a hypothesis and one fraught with contradictions, staring with the fact that the immune system protects us from abnormal cells by killing them with free radicals. If it wasn’t for free radicals generated by the immune system, our bodies wouldn’t be able to repair and produce new cells.